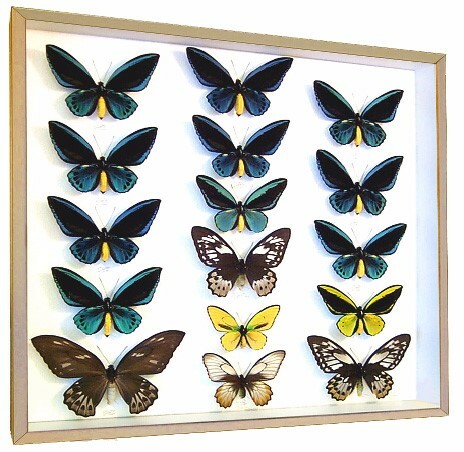 This is a private collection of Birdwing butterflies; this collection of 16 birdwing butterflies displayed in a large wooden frame. Start a new collection of butterflies today, or buy butterflies to add to your current collection. Shopping for birdwing butterflies? View Birdwing Butterflies for Sale - Select from many different birdwing butterflies to add to your collection!